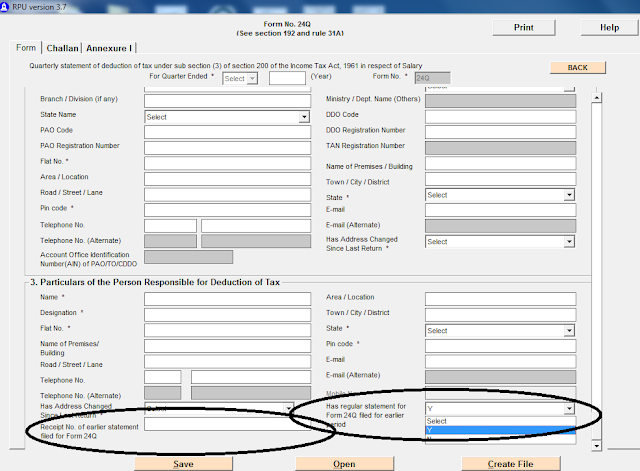 New NSDL RPU 3.7 for submission of etds return has already been published which is strictly applicable w.e.f. 01.10.2013 (1st October, 2013). There are major changes regarding submission of 15 digit token number of immediately previous regular statement in salary or non salary case. 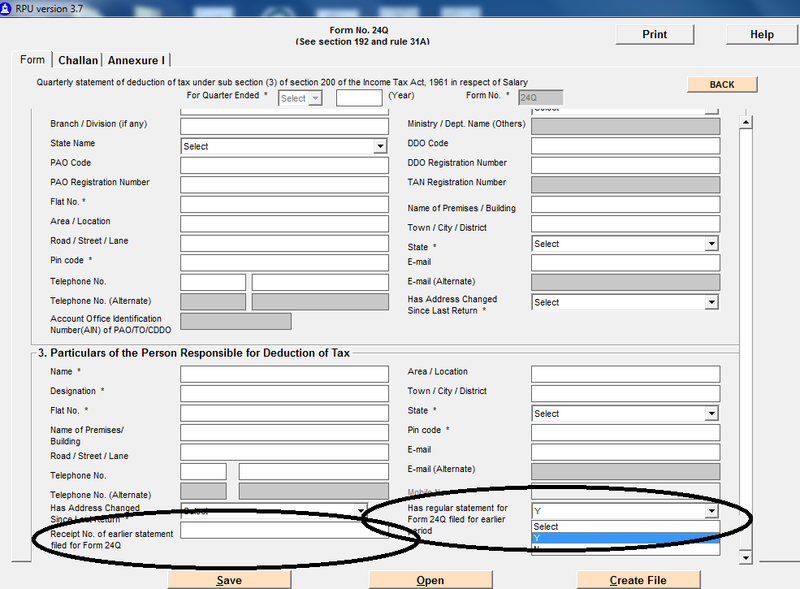 Every deductor should read this information that what is this ?. Nobody should select "No" through drop down menu. It may be checked carefully whether the exact previous return has been submitted or not if submitted, 15 digit token number of the previous regular statement should be entered as shown in second image.